After all the time and effort that goes into creating a website, finally launching it is an exciting moment! However, it’s important to remember that the work doesn’t stop there. You need an effective strategy in place in order to attract visitors to your website and increase engagement once your website is live. You should use some type of analytics service such as Google Analytics to collect data about your website visitors. These services provide information like how many visitors are coming to your website and what they are doing once they get there. You should develop a strategy for reviewing and analyzing this data in order to measure it against your goals and objectives to determine the success of your website. Use analytics data to determine what improvements might be needed to your website and overall marketing strategy. 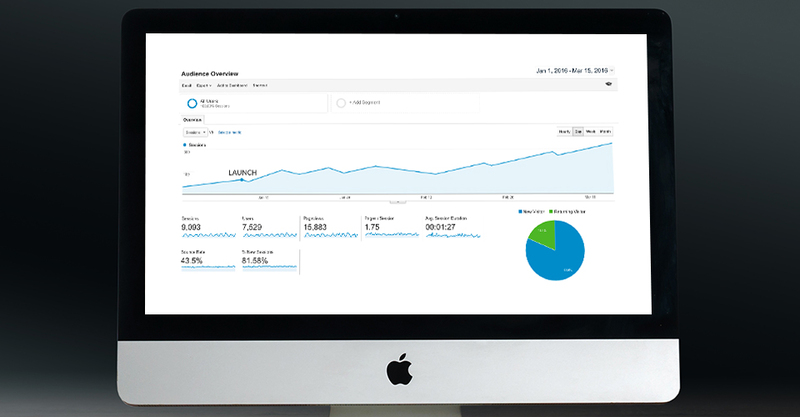 Learn more about how to use analytics to improve your website. Once you have visitors coming to your website, you’ll need to find ways to keep them coming back. Frequently updating your content is one of the easiest ways to do this. Start by identifying what types of dynamic content you can provide on your website, such as a company blog, an event calendar, or monthly coupons. Whatever you choose, commit to it in order to engage your audience and generate further interest in your website. Get more tips on how to make your website easy to update. The best way to generate interest in your website is through your existing marketing channels, whether that’s social media, print ads, commercials, or other marketing efforts. Let your audience know what information is available on your website and how it can help them. If have a blog, use that as an opportunity to link back to your website and cross-promote your content with relevant calls to action. 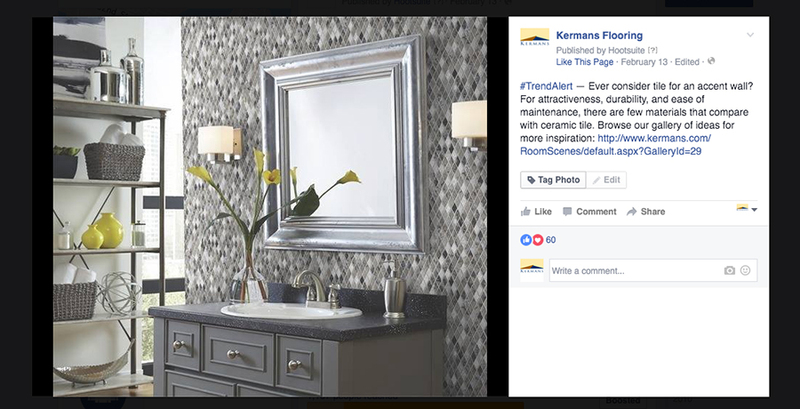 We help Kermans Flooring use Facebook to promote content that links back to their main website. The more places your website can be found, the better your chances of increasing traffic and search ranking. You can build up the links back to your website by doing things like submitting your website to online directories, having a partner or affiliate link back to your website, or writing a guest post on an industry-related blog. However, keep in mind that these links are most valuable when coming from a source relevant to your industry so that you are generating visitors that will be interested in your products or services. Search engines are an important traffic source for a website. 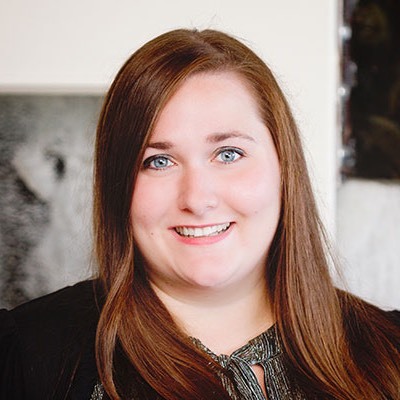 In order to speed along the process of getting your new website indexed once it’s launched, submit your website to popular search engines like Google and Bing. After you start generating visitors, you should consistently check your ranking in those search engines to monitor how you’re performing in searches containing your targeted keywords (find out more about keyword research). If you haven’t already, develop a search engine optimization (SEO) strategy to set specific goals and manage your efforts. For detailed information on what affects Google's search ranking, check out the Google Ranking Factors infographic from Audience Bloom. As you start to generate traffic and analyze data, you’ll be able to identify what other potential marketing opportunities might be effective in promoting your website. For example, you may choose to develop an email marketing campaign or increase your social media presence. Choose what best aligns with the needs of your audience and your overall website goals when integrating new methods into your digital strategy. Do you have a post-launch plan? TBH Creative can help you to develop a marketing strategy that will ensure your website remains a valuable marketing tool well after launch.